Starwood Preferred Guest (SPG®), the award-winning loyalty program from Starwood Hotels & Resorts Worldwide, Inc., in partnership with Live Nation Entertainment, Inc., the world’s leading live entertainment and ecommerce company, for the third consecutive year has launched its one-of-a-kind music series, Hear The Music, See The World. This groundbreaking global music initiative allows SPG members to experience intimate music performances at Starwood properties and destinations across the world. With a wide array of talent performing an eclectic range of music designed to match each host hotel and destination including jazz, country, pop and more, the Hear The Music, See The World tour has a concert for all musical tastes. Each one of Starwood’s nine diverse hotel brands will set the stage for the 2014 Hear the Music, See the World series with each featuring customized components of the brand’s persona and style at the show. 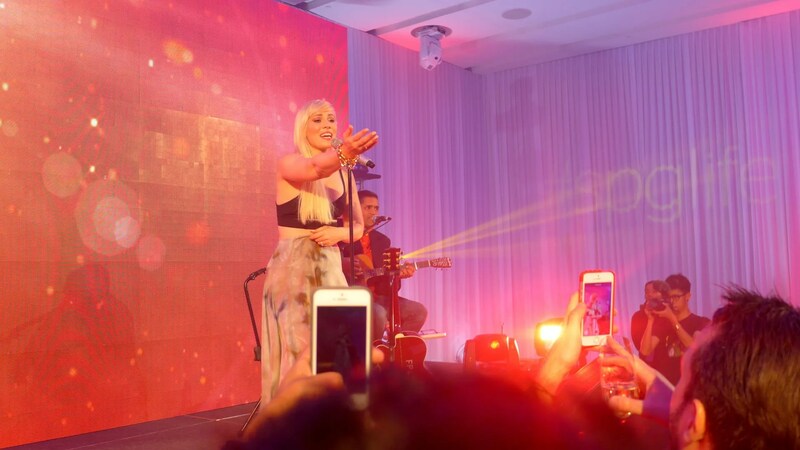 And last month, I was honoured to be invited to experience the exclusive perfomance by Natasha Bedingfield, which took place at Aloft Kuala Lumpur Sentral. 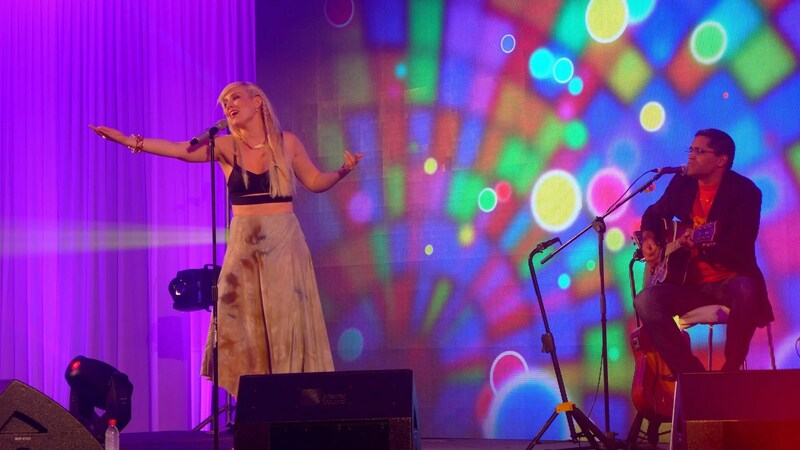 The original plan was to have Leona Lewis to perform in KL but she couldn’t make it (apparently due to illness) so it was fortunate that Natasha Bedingfield could make it in such short notice. Her famous tunes include “Unwritten”, “These Words” and “Soulmate”; those were the songs I used to listen to during Uni days. So it was nice to be able to see her live. Better still, I attended her meet and greet session! These SPG music moments cannot be bought by money, but by redeeming Starpoints (starting from 5000 points I believe). Additional SPG moments such as meet and greet session with the artist is available for bidding too. 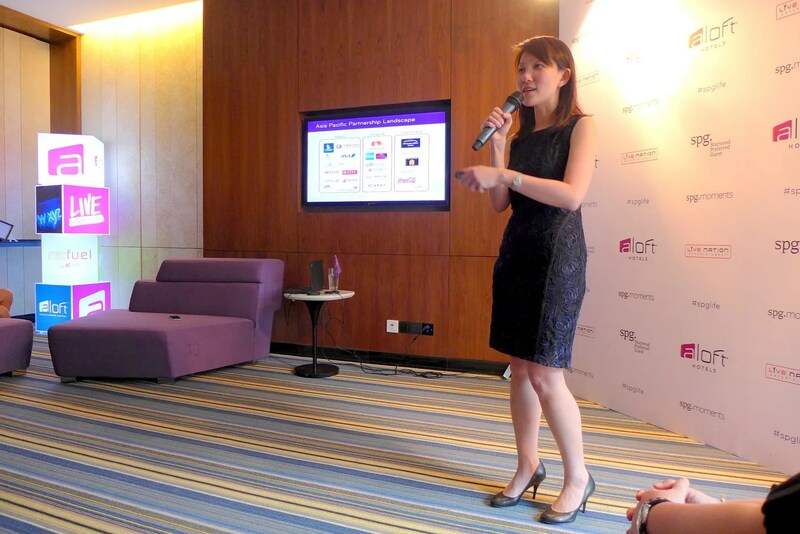 For this showcase, the highest bid for was 12,000 points for access for two to the concert, preconcert meet and greet and preconcert cocktail reception. The cocktail reception was no joke! They flew Joseph Boroski in from Bangkok, a well-known Mixsultant (that’s what he calls himself) who has worked in over 20 countries and he created a few interesting cocktails for us to sample. We were also treated to a live band performance during the reception and imagine my surprise (pleasant, of course) when I bumped into my own bandmate. 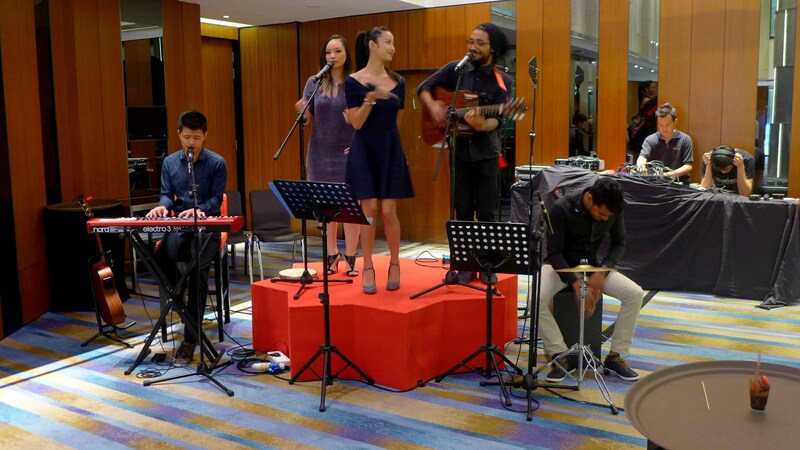 Clinton Liew on keys, with bunch of equally talented individuals some of whom I had the pleasure to perform with too. It was nice hanging out with friends from the media, including some new ones made on the night. And soon, it was time for Natasha Bedingfield to perform. She sang a mix of her own songs as well as covers (I particularly enjoyed her rendition of Purple Rain). Gotta love a singer who can perform live, especially in an acoustic setting. Towards the end of the concert, most people were on their feet and the highlight would be when she sang Unwritten when she had the whole room singing along to this. 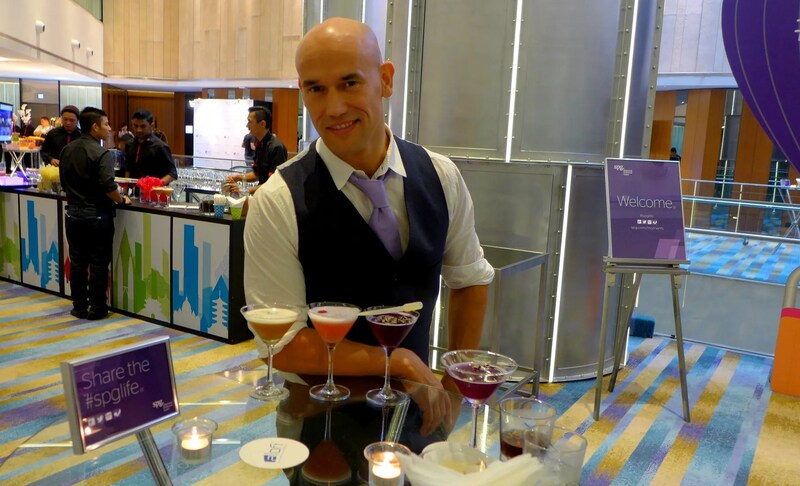 It sure was a great night and I have to thank Starwood and Aloft KL Sentral for this opportunity. For more information about SPG’s Hear The Music, See The World Moments please visit: spg.com/Moments. Artists who are scheduled to perform in the next few months include Hebe Tian in Guangzhou, and Katie Melua in Dubai.